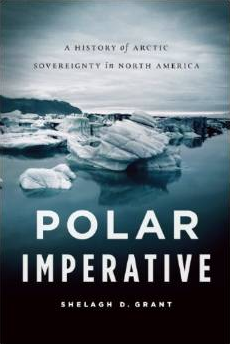 Based on Shelagh Grantʼs groundbreaking archival research and drawing on her reputation as a leading historian in the field, Polar Imperative is a compelling overview of the historical claims of sovereignty over this continentʼs Polar Regions. Told from a Canadian perspective, this book will become a standard reference on Arctic history and will redefine North Americans’ understanding of the sovereign rights and responsibilities of Canada’s northernmost region. 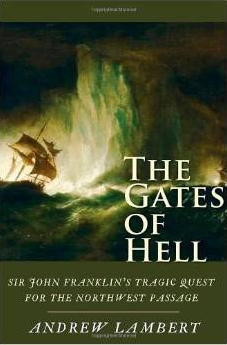 Andrew Lambert, a leading authority on naval history, re-examines the life of Sir John Franklin and his final, doomed Arctic voyage. Franklin’s mission was ostensibly to find the elusive Northwest Passage, a viable sea route between Europe and Asia reputed to lie north of the American continent. Lambert shows for the first time that there were other scientific goals for the voyage and that the disaster can only be understood by reconsidering the original objectives of the mission. Franklin, commonly dismissed as a bumbling fool, emerges as a more important and impressive figure, in fact, a hero of navigational science. It begins as a mission of mercy. Four and a half years after the disappearance of Arctic explorer Sir John Franklin and his two ships, HMS Investigator sets sail in search of them. Instead of rescuing lost comrades, the Investigator’s officers and crew soon find themselves trapped in their own ordeal, facing starvation, madness, and death on the unknown Polar Sea. If only they can save themselves, they will bring back news of perhaps the greatest maritime achievement of the age: their discovery of the elusive Northwest Passage between Europe and the Orient. This is the ultimate pocket field guide for the spectacular flora of the Canadian Arctic. It works well for the arctic and Hudson Bay coasts and for Baffin Island. The book is designed for visitors and northern residents, and includes more than 100 plants. Because it originated in the Kitikmeot, it includes short paragraphs in Inuinaktun, and Inuktitut names for some of the plants. The book includes over 200 colour photos, a key to plants by colour and shape, an illustrated glossary, and cultural and biological information on the plants. 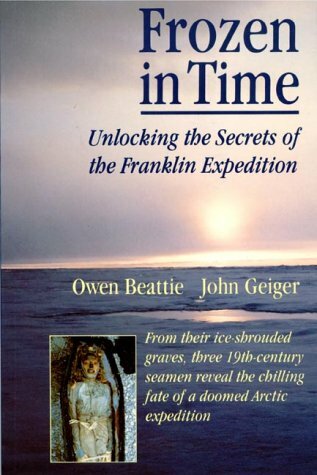 This new edition of Frozen in Time expands on the history of early British Arctic exploration and places the tragically fated Franklin expedition in the context of other expeditions of the era, including those commanded by George Back and James Clark Ross, which also suffered unaccountable and devastating losses. The authors’ research reveals an unexpected – and ironic – cause for the mystery illness that befell the explorers. Never-before-seen photographs from the exhumations, updated research results, additional forensic corroboration, and a new introduction by Margaret Atwood complete this fascinating account. 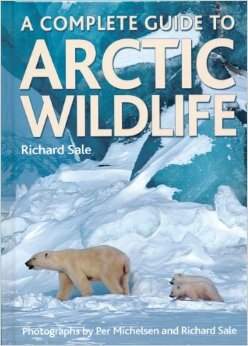 The most comprehensive field guide to Arctic wildlife. 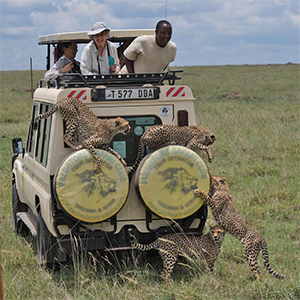 The book provides extensive field coverage of the entire region’s mammals and birds. In-depth information on each species includes notes on identification, size, voice, distribution, diet, breeding, taxonomy and more. A Complete Guide to Arctic Wildlife is packed with stunning photographs and features range maps of the entire circumpolar ranges — including oceans and seas — of the various polar creatures. 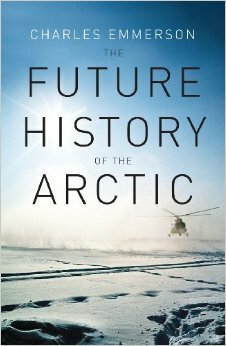 This beautifully illustrated and authoritative book will provide a renewed understanding of the Arctic and its unique challenges. 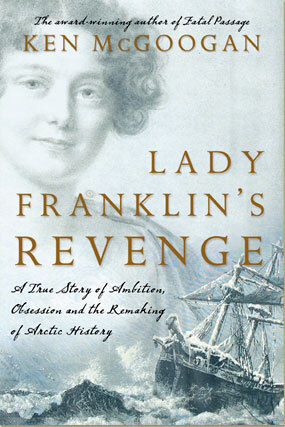 Denied a role in Victorian England’s male-dominated society, Jane Franklin (1791-–1875) took her revenge by seizing control of that most masculine of pursuits, Arctic exploration, and shaping its history to her own ends. 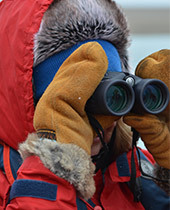 When Sir John Franklin, her husband, disappeared into the Arctic in 1845, she orchestrated an unprecedented 12-year search, contributing more to the discovery of the North than any celebrated explorer. Richly detailed, panoramic in scope, this biography of the unforgettable Jane Franklin is destined to become a classic. 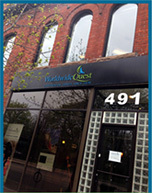 Despite the fact that Nuqallaq was following Inuit customary law in carrying out a collectively sanctioned act to defend the community from the dangerously crazed trader Robert Janes, Canadian authorities made the unprecedented decision to put him and two accomplices on trial for murder. 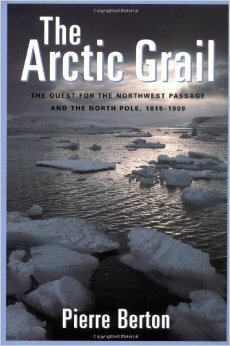 Grant shows how this decision was motivated by Canada”s international political concerns for establishing sovereignty over the Arctic and how the outcome of the trial – Nuqallaq”s sentence to ten years of hard labour in Stony Mountain Penitentiary and subsequent death from tuberculosis – was determined more by fear than evidence. 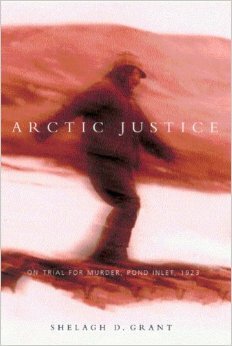 Arctic Justice will appeal to anyone interested in the Arctic and its indigenous peoples, contact history, anthropology, legal history, and RCMP history. Long at the margins of global affairs and at the edge of our mental map of the world, the Arctic has found its way to the center of the issues which will challenge and define our world in the twenty-first century: energy security and the struggle for natural resources, climate change and its uncertain speed and consequences, the return of great power competition, the remaking of global trade patterns…. The Arctic is coming of age. This engrossing book tells the story of how that is happening and how it might happen through the stories of those who live there, those who study it, and those who will determine its destiny. 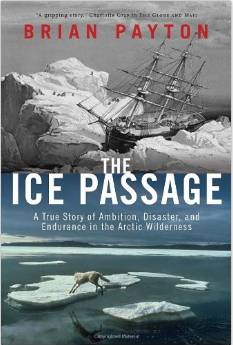 Scores of nineteenth-century expeditions battled savage cold, relentless ice and winter darkness in pursuit of two great prizes: the quest for the elusive Passage linking the Atlantic and the Pacific and the international race to reach the North Pole. Pierre Berton”s #1 best-selling book brings to life the great explorers: the pious and ambitious Edward Parry, the flawed hero John Franklin, ruthless Robert Peary and the cool Norwegian Roald Amundsen. He also credits the Inuit, whose tracking and hunting skills saved the lives of the adventurers and their men countless times. Pierre Berton, who won his first Governor Generalʼs award for The Mysterious North, here again gives us an important and fascinating history that reads like a novel as he examines the historic events of the golden age of Arctic exploration.